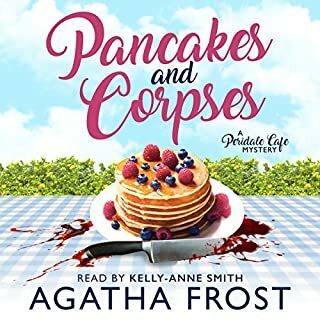 Soon to be divorced Julia South never expected to be caught up in solving a murder, until she discovered the body of her cafe's most awkward customer. With a new smug Detective Inspector in town who underestimates her every move, Julia makes it her mission to discover the real murderer, before her village friends are dragged into the frame, and more bodies are discovered. This recording suffered from dreadful editing, especially in the first few chapters. Also, while I like Kelly-Anne Smith's voice, she was not the right reader for this book. Although it was hard to tell through the other issues, the story was OK, and the kind I would usually like, so I might still give the next book in the series a try. I liked this as much as first book. Abi Logan is a wonderful, fun, artfully crafted character, and Gemma Dawson's performance does her justice. 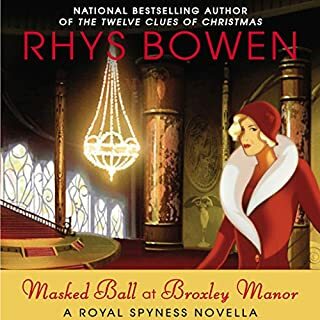 At her friend Ivy's behest, Lady Emily Ashton reluctantly agrees to attend a party at the sprawling English country estate of a man she finds odious. But the despised Lord Fortescue is not to be her greatest problem. 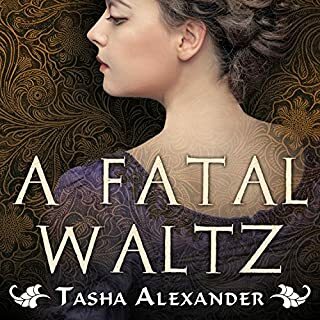 What disappointed you about A Fatal Waltz? I’ve listened to the first two books in this series, which have good narrators, and liked them both. Sadly I couldn’t even finish this one because the narrator was so wooden. I see that later books have other, much better narrators. I hope they will rerecord this with an appropriate narrator, as I suspect I’d like it as much as I did the previous books. Who would you have cast as narrator instead of Charlotte Anne Dore? Justine Eyre was wonderful. Get her to record this and I'm sure it would be very popular. Would you try another book from Rhys Bowen and/or Katherine Kellgren? I have read many other books from this series, and liked them very much. The narrator is excellent and brings all the characters to life. Invited to a Private View of the work of controversial artist Denzil Willoughby, the good citizens of Fethering are not quite sure what to expect. And it certainly turns out to be a lively affair, culminating in a confrontation between Willoughby and his ex-lover, followed by a heated argument with the gallery owner and a rival artist. But what no one could have anticipated was that the evening would end in sudden, violent death. What disappointed you about Guns in the Gallery? Mostly the narration - it was terrible. 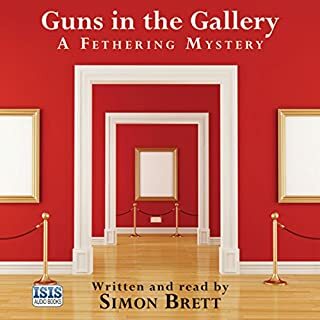 Would you recommend Guns in the Gallery to your friends? Why or why not? Not unless it was read by Geoffrey Howard (the previous narrator) or someone equally good. What didn’t you like about Simon Brett’s performance? While he has a fitting British accent, he has no ability to differentiate between characters, and becomes very monotones. He does not bring the story to life. The this story is as well crafted, and almost as much fun as most of the other 6 Feathering novels I have read, but I don’t think I’ll get any more unless the narration goes back to someone with more skill at it. 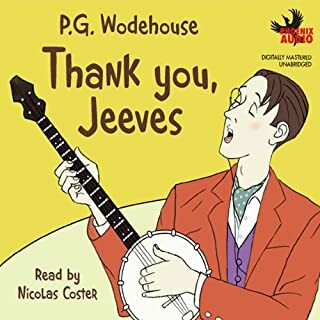 In high dudgeon, Bertie disappears to the country as a guest of his chum Lord "Chuffy" Chuffnell, who naturally employs the services of the recently resigned Jeeves. Along the way, we meet a memorable cast of characters including Bertie's ex-fiancee Pauline, her formidable father, and the eminet looney-doctor Sir Roderick Glossop. When Chuffy falls in love with Pauline, chaos ensues...until Jeeves step in to save the day. Would you try another book from P. G. Wodehouse and/or Nicolas Coster? I would definitely get another PG Wodehouse, but never another Nicolas Coster. As with most Wodehouse, the descriptions the main character uses to paint a picture of people and situation are hysterically funny. But you'd never know it from the performance here. Who would you have cast as narrator instead of Nicolas Coster? Jonathan Cecil is the best narrator for Wodehouse books. David Threlfall stars as Father Paolo Baldi in two full-cast BBC Radio 4 dramatisations. On sabbatical from the Franciscan order, Father Paolo Baldi is working as a philosophy lecturer in Dublin when his life takes an unexpected turn and he finds himself helping the police to solve crimes. 'Death Cap' sees Paolo attending a monastic retreat far out in County Cork, where a sudden death among the Franciscan brothers causes him to suspect foul play. 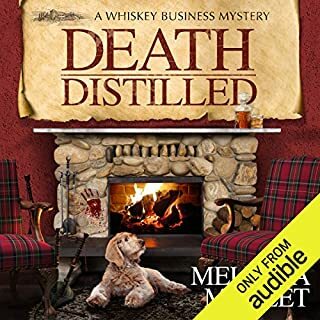 Grab This at Audible's Next Sale! Has The Father Paolo Baldi Mysteries: Death Cap & Devil Take the Hindmost (BBC Radio Crimes) turned you off from other books in this genre? Though the actors are decent, this radio version is badly edited and seems very truncated. Although it was not expensive it was still not worth the price. 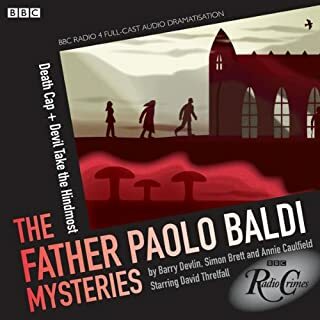 What character would you cut from The Father Paolo Baldi Mysteries: Death Cap & Devil Take the Hindmost (BBC Radio Crimes)? If these stories are ever recorded in a more complete and professional manner they might be interesting. 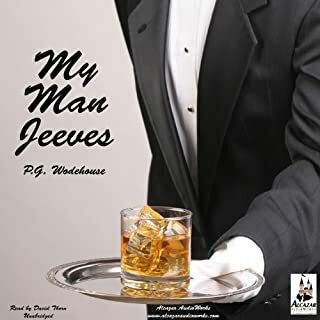 Wodehouse introduces us once again to the "wonder butler" Jeeves, who, as usual is able to solve any and all of Bertie Wooster's endless problems with ease and finesse. And he also introduces us to a character not dissimilar to Bertie . . . by name of Reggie. Such fun to follow Jeeves in the hijinks! Having heard many PG Wodehouse recordings, I was disappointed with this narration. There are other, much better versions of this same story available. Bred by capricious parents for his innate leopard-shifting abilities, billionaire Jake Bannaconni has spent his life in an emotional vacuum - especially after a tragic twist of fate left him to raise his infant son alone. But when his path crosses that of an enigmatic young woman, Jake’s life takes a detour he never fathomed. 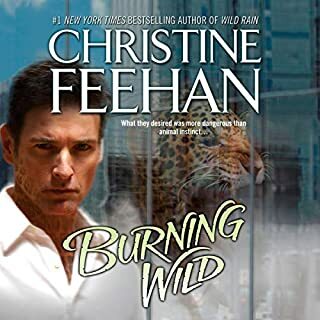 Would you try another book from Christine Feehan and/or Jeffrey Cummings? Yes because I've read a number of other Feehan works which were quite good. Would you be willing to try another one of Jeffrey Cummings?? ?s performances? Maybe, but not for a book of this type. I think the combination of the thin delivery, and shallower then usual characters combined to make it hard to even get through this one, let alone enjoy it. What a great book. It gave me hope that there might be a way out of the muck that most of corporate America is currently in. 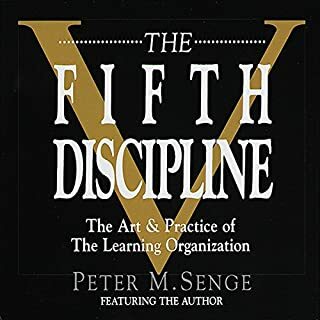 This lead me to loads of interesting work in related fields, and I'll always be grateful for having listened to it.